It's easy to dismiss something popular. Mass appeal must equate to mediocrity, right? I mean, does any film critic think Toy Story is fine cinema, the equal of Bicycle Thieves? Doubtful. I was fifteen or sixteen when Woody and the gang entered our collective psyche, but I still remember deriving a guilty pleasure from the feel-good story. And Randy Newman's catchy "You've Got a Friend in Me" is arguably the best movie theme song ever. I'm sure I publicly derided the children's movie at the time, but I didn't mind watching it with my then eleven year-old brother. Fast forward to the present day, and I don't have to hide my enjoyment since I have three kids with whom I can enjoy the franchise. Well, two anyway. 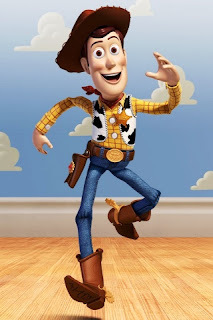 My oldest rolls his eyes at Woody's endearing "Howdy, Partner. You're my favourite deputy" quote. Is it possible that some things are popular because, well, they add something to our collective experience? Is it possible that some things endure because they are important, deserving and just darned good? Reach for the sky(e) !!! It seems anything associated with big corporations is unfairly labeled bad, bland or soulless. I've likely been guilty of these sweeping generalizations at times. While I'm sure massive multinationals don't need my pity, or my help, their products should not be dismissed as mediocre by default either. Within these big, "empty" machines, are passionate individuals. The individual artists who worked on Toy Story undoubtedly love their work and believe in what they're doing. I feel the same way about multinational-owned distilleries. Diageo and Beam-Suntory may be the big dogs of the liquor market, but the distilleries themselves employ individuals who put time, effort and pride into what they do. I'm all for keeping big business accountable in their practices, but I want to try and remain as objective as possible when discussing the product of others' labour. Faithfully following the original design, it is believed that this double distillation ensures that all of Talisker’s rich, deep character is captured the first time. So there is, indeed, nothing withdrawn or reserved about Talisker – a fact confirmed for visitors whose first experience before they take the distillery tour, is a taste of the malt itself. Can't make it out to the Isle of Skye this weekend? No problem. Using this link takes you to a Google Maps virtual tour of the distillery. Criticize Diageo (corporate owners of Talisker) all you want, that's a cool feature. Joining the "Friends of the Classic Malts" gives you free access to twelve of Diageo's distilleries AND a complimentary dram of their single malt. Not bad at all. But how does the "standard" Talisker 10 taste? Nose (undiluted): brine, smoke, bonfire by the sea, dried leaves (tobacco? ), mineral water, damp peat, pepper, this is one of the most inviting and unique noses I've encountered. You could spend hours simply nosing this beauty. Finish: medium-long, warming, peppery (though more like black pepper on the finish), more subtle ginger, subtle hints of ripe pear, lingering. You don't want this to end. Adding a bit of water (1/2 teaspoon or approx. 2.5 ml) brings out more smoke on the nose and accentuates the seaweed and dried tobacco aromas. This is sublime. The white pepper is really thrust forward on the palate, developing to a nice, dry, vegetal peat with that ginger still hanging around. 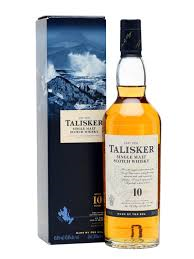 Talisker is great with or without water, but note that it's bottled at 45.8% ABV. Talisker is NOT for the faint of heart, nor is it a "beginner's whisky". But to someone who's never had Talisker, it is a must have. Calling this whisky exquisite is an understatement. This malt is complex and worth lingering over. Diageo is the bête noire of many malt enthusiasts. They're often accused of "ruining malt whisky in the name of profit". This charactarization may contain a kernel of truth, it may be an exaggeration, or it may be outright false. I truly don't know enough about the whisky business to be pro or anti-Diageo, though they did answer my emails fairly quickly and honestly. 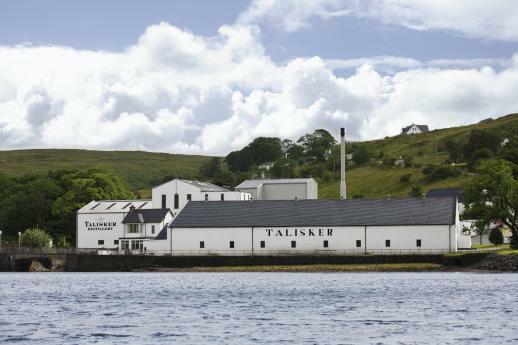 I heard rumours that Talisker was no longer warehousing and aging their malts at the distillery on Skye. When I emailed them regarding this, I was informed that the Talisker distillery does not have the capacity to warehouse all the casks of spirit Talikser produces, therefore some of it is stored at other locations across Scotland. Now, you can accuse Diageo of misleading consumers with Talisker's "made by the sea" tagline, but they aren't hiding anything. If you don't know, just ask. Does warehousing the malt "off-site" affect its character? I don't know. The briny character of my Talisker suggests it doesn't, but I'm not an expert. All I know is I enjoyed this whisky. A lot. I'm not sure if it has usurped Lagavulin's position as my favourite whisky, but it is a legitimate contender to that title. Highly recommended. To my mind, Talisker is the most scotchy of all scotches. 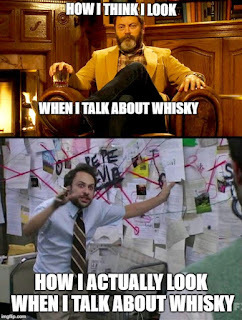 If a newbie wants to know what scotch tastes like, my answer is "Talisker 10."